The new trailer for John Wick Chapter 3: Parabellum has arrived and it’s just over two minutes of pure, wonderful chaos… and it has a line that’s sure to tickle fans of Reeves and The Matrix. Combined with the character posters yesterday, the new poster today – above – and the Bill & Ted 3 confirmation yesterday, Keanu Reeves has cemented himself as the coolest dude on the planet! 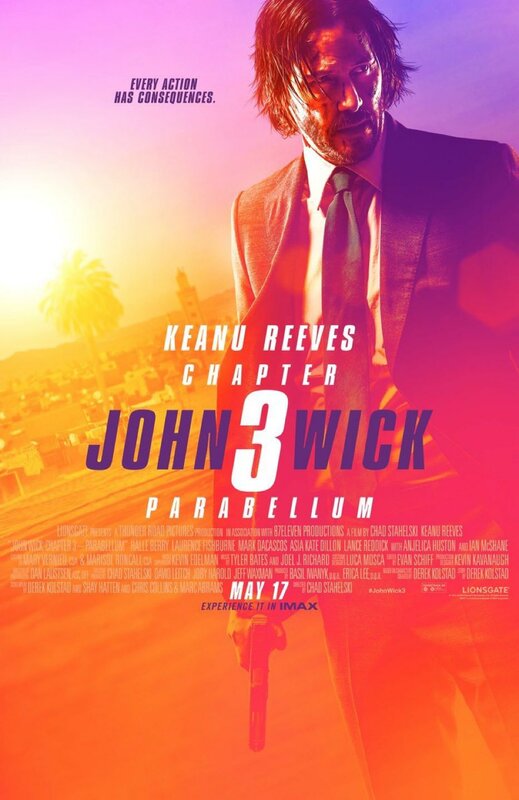 Keanu Reeves, Halle Berry, Laurence Fishburne, Mark Dacascos, Asia Kate Dillon, Lance Reddick, Saïd Taghmaoui, Jerome Flynn, Jason Mantzoukas, Tobias Segal, Boban Marjanovic and Ian McShane star in John Wick Chapter 3: Parabellum.